Login to your Oculu account and upload video once you already have the video ready you can now go to video settings by clicking the video title on your video dashboard. 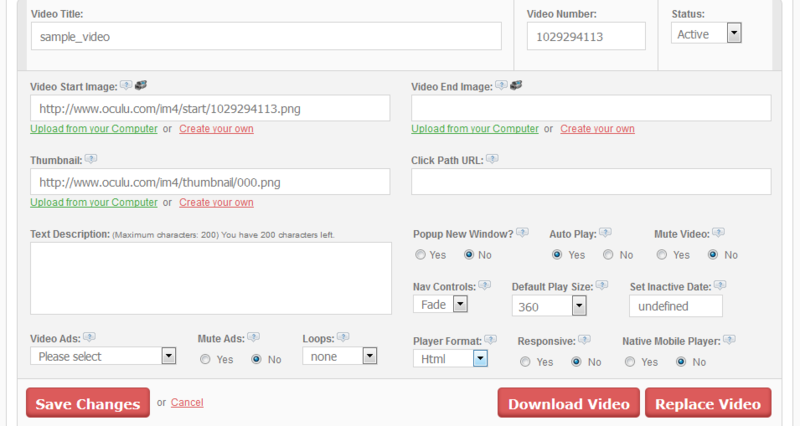 We have few options for our client to customize the video embed, once all is set you can hit save and the changes will apply. Click the “Share Video” tab under the video settings. 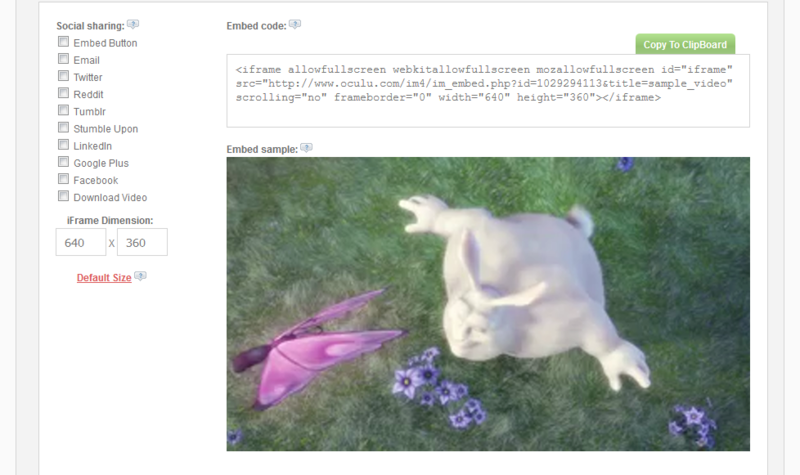 Scroll down and you will see on bottom a panel where you can get the iframe code, we do have few settings for iframed video ember, which are social links and dimension. Once every thing is set you can get the code and paste it on respective page.